In this three part series we look at the Light's exciting work at the University of Utah on ME/CFS. First - we look at the Light's attempt to validate their gene expression findings, then we examine what they believe may be ground zero for CFS, and finally we tie together their findings with a theory paper by Shapiro suggesting that different kind of herpesvirus may be a work in ME. Thanks to the Lights and Judith Shapiro for their willingness to answer questions and, as always, to Dennis for his invaluable help getting the research papers. Part II - The Dorsal Ganglia – Ground Zero for ME? In Parts I and II of this series we've established that both the upregulation of pain and fatigue receptors occurring after exercise in CFS and Newton's findings of muscle abnormalities during exercise could ultimately be due to problems in nervous system structures called the dorsal root ganglia. Both Judith Shapiro, a psychologist interested in ME/CFS and the Lights believe these peripheral ganglia could be ground zero for the disorder. These ganglia are where nerve cell bodies bundle together before they send information to the spinal cord and ultimately the brain. First we take a quick look back at the dorsal root ganglia and then it's onto Shapiro's theory that a herpesvirus - but not probably not the one you're thinking off - has taken root in these nerve centers and is causing chronic fatigue syndrome. They Are Vulnerable to Infection - Researchers have long pondered whether central nervous system viruses play a role in ME/CFS but the blood/nerve barrier in the dorsal root ganglia provides fewer protections against viruses than does the blood/brain barrier and may be a more likely candidate for infection. 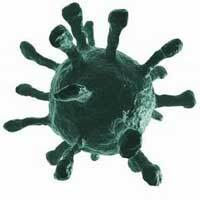 Activated herpesvirus and enterovirus infections have been found in ME/CFS and herpesviruses, enteroviruses, HIV and other viruses have all been found in the DRG. Shapiro states the DRG are ‘uniquely vulnerable’ to herpesvirus infections. The most deadly form of encephalitis known, Herpes simplex encephalitis, is caused by herpes simplex, which, it turns out, establishes latency (ie. 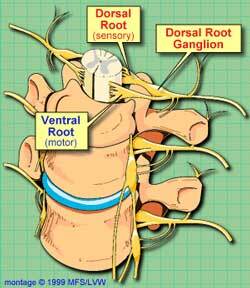 finds its home) in the dorsal root ganglia. Herpesviruses sometimes ‘open the door’ for one another and if one herpesvirus is present in CFS it might not be surprising to find another one hiding out in the nervous system ganglia. It Makes Sense of the High distress/Low fatality rate in ME/CFS - people with ME/CFS do die but perhaps not nearly as often as one would suspect given how ill much of the population is. The low death rate, Shapiro says, has contributed to the perception that CFS is primarily a psychiatric disorder. A debilitating but not fatal illness is precisely the type of illness one would predict would occur, however, from an infection found in the peripheral ganglia. These infections could be debilitating and could ultimately lead to death but their location outside the brain should keep fatality rates low and distress levels high. It Makes Sense of the Difficulty in Detection Issue - The peripheral and dorsal root ganglia also present a barrier to infection detection as nerve tissue is largely separate from the general circulation with virus detection often requiring a specialized autopsy, which is seldom done. Shapiro noted that Sophia Mirza’s autopsy did reveal abnormalities in the sensory ganglia similar to those found in shingles (VZV). Activated herpesviruses may be present in ME/CFS patients' dorsal ganglia but Shapiro thinks it’s likely that one herpesvirus plays the key role in ME/CFS and its not one of the herpesviruses typically associated with the disease ( EBV, HHV6 , CMV) - but in a virus called varicella-zoster virus (VZV) - the same herpesvirus that causes chickenpox and shingles. • It could account for cases of rapid onset. 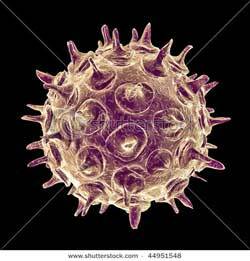 Varicella-zoster ("VZV") is one of eight herpesviruses known to infect humans. Like other herpesviruses it is ubiquitous - with about 95% of people in the US and Europe testing positive for it. In childhood it causes chickenpox and then takes up residence in the dorsal root ganglia. In about 20% of nonimmunized adults VZV reactivates in the sensory dorsal ganglia, then travels down the sensory nerve fibers in the body, crosses over into and then replicates in the skin - causing the intense pain and the typical shingles rash. Shingles in some cases leads to a chronic pain and fatigue state called post-herpetic neuralgia. But that’s not the only form it takes. VZV does not always cause pain or rash and has been implicated in a variety of neurological illnesses including meningoencephalitis and myelitis. VZV is able to infect arteries in the brain where it can cause a variety of blood flow problems from “modest, chronic vascular inflammation’ to complete blockage (stroke). Symptoms, Symptoms, Symptoms - VZV’s ability to cause so many different types of symptoms may be Shapiro’s trump card. She believes that it’s hard to account for all the symptoms in CFS using immune cell attacking model. For one, while there is dysregulation in the immune system in CFS, much of the research community does not currently believe the immune dysregulation found can account for the extreme debility or the wide variety of symptoms that some patients experience. VZV infections, on the other hand, have been shown to cause a wide variety of symptoms similar to those found in ME/CFS including fatigue, pain (particularly burning, sharp, jabbing or deep and aching pain), sensitivity to light touch, itching, numbness and weakness or paralysis. Interestingly, some people with shingles experience debilitating fatigue long after the pain and other symptoms of shingles are gone. Shapiro believes that most VZV infections in CFS probably occur in the dorsal root ganglia which specifically contain autonomic nervous system nerves. Infection of these nerves could cause the post-exertional malaise or relapse seen after exercise as well as the increased sympathetic nervous system activation (fight or flight response), HPA-axis dysruption and sleep problems (and could also contribute to the immune dysregulation). Infected sensory nerve ganglia, on the other hand, could be responsible for the muscle pain and burning, numbness and tingling, vertigo and overstimulation by lights, sounds and odors, etc. Location, location, location - The Shapiro model of VZV infection proposes that whether you have shingles, ME/CFS or FM is largely a question of which of your nerve bundles have been infected. She believes shingles is a VZV infection that makes it out to the skin and causes rashes. ME/CFS, on the other hand, is a VZV infection mostly affecting the autonomic nerve bundles in the DRG which causes fatigue and other problems. FM is a VZV infection that primarily targets the sensory nerves causing more pain than fatigue. Individuals with both fatigue and pain (FM/CFS) have infections in both the autonomic and sensory nerve bundles and possibly in the nerves themselves. Shapiro even has a idea that could explain the increased incidence of ME/CFS in the last several decades - reduced immunity to the VZV virus due to the reduction of chickenpox. Evidence and Detection - Shapiro’s theory may make sense; however, it needs study. A Gulf War Illness study did find elevated antibodies to VZV. Another study looking at the blood for the viral RNA for many viruses did not find evidence of VZV infection butVZV infection can be hard to spot in the blood even in the early stages of infection (when it is usually most acute) and Shapiro states VZV is almost impossible to detect in the blood after the virus has taken hold in the nerves. Serological (antibody) testing could be effective, though, if a patient is in a relapse. (VZV DNA is abundant in the immune cells of multiple sclerosis patients when they relapse and then disappears almost completely.). Spinal taps (lumbar punctures) could be helpful in really severely ill patients whose infection has spread to the spinal column. There’s also the possibility that VZV has been vanquished but has left nerve damage in its wake, making viral studies beside the point. In this case MRIs of the DRG could detect signs of inflammation. Unfortunately, autopsies are probably the best way to definitively prove VZV infections of the DRG. Then there is some indirect treatment evidence. Interestingly, Shapiro notes that just as with ME/CFS, valacyclovir (Valtrex) requires high doses to be effective against VZV. Could Valtrex thus be targeting both EBV and VZV? Both the successes and the limitations of herpesvirus drugs in ME/CFS treatment fit Shapiro’s theory well. The current slate of herpesvirus drugs used to treat shingles (valacyclovir, famciclovir, vidarabine) are able to stop the virus from replicating - reducing symptoms - but have difficulty killing it off - often not causing complete remission. Even if the virus is returned to a latent state, an immune dysfunction could allow it to re-emerge. Therefore, immunomodulators such as Ampligen could play an important role. If nerve damage has already occurred, though, different drugs are needed to mitigate that damage. Lyrica (pregbalin) has intriguing connections in this area, as it is often used to treat lingering shingles pain, it has been approved for use in FM, and it is currently under trial in high pain CFS patients. Propanolol hasn’t got much attention in ME/CFS but the Lights have found it to be useful in some patients and it and other beta-blockers can be used to treat some of the sympathetic nervous system problems found in CFS . The Lights are interested in developing other more targeted blockers that can affect the specific receptors they believe are involved in producing over- activated or sensitized pain and fatigue systems. Shapiro notes that another approach involves biofeedback techniques that utilize the inherent neural plasticity of the nervous system to train undamaged parts of the autonomic nervous system to take over the functions of the damaged parts. This type of mind/body interaction appears to be particularly well suited to autonomic nervous system problems and has worked well in some spinal cord injury patients. Finally there is a vaccine against VZV that could immunize people against CFS if Shapiro’s theory turns out to be correct. At least three new drugs are in clinical trials. ‘Sympathetic Pain…THE pain in CFS and FM’? Shapiro and the Light's aren’t the only ones looking at the DRG in these disorders. Dr. Martinez-Lavin has proposed that damage to the dorsal root ganglia short-circuits sympathetic nervous system functioning in fibromyalgia. In his scenario, an injury to the DRG causes sympathetic nerves to ‘sprout up’ inside the nerve cell bodies of the DRG (already documented). If enough of these nerves appear, he believes that sympathetic nervous system activity traveling through them triggers sensory nerve activity. In this scenario you simply need to turn the SNS on to trigger pain and other symptoms in FM. Since the SNS is a key player in the stress response Martinez-Lavin’s theory posits that stressful situations such as exercise, emotional upsets, etc. are directly turned into pain-producing events. Its easy to see how a dangerous positive feedback system could be created; one stressful event causes the sensory nerves to send pain messages to the brain - resulting in upset and more stress - which raises the stress level even more, further sensitizing the system. The Lights believe that even the sensation of fatigue can enhance SNS activity. Martinez-Lavin even goes so far as to suggest that that our stressful, information-overloaded lifestyle probably contributes to the incidence of FM. A good number of studies, of course, suggest that the sympathetic nervous system is continuously turned on in CFS and FM. Shapiro's theory, like many others for ME/CFS, has yet to undergo the rigor of serious study. Perhaps the most intriguing part of the theory is Shapiro’s focus on a neurotropic or nerve cell residing herpesvirus in the peripheral nervous system (PNS) rather than in the immune cells or the central nervous system. Despite some focus on the herpesvirus family Shapiro notes that CFS studies have almost completely ignored the neurotropic herpesviruses ( varicella-zoster, herpes simplex) (Dr. Montoya is reportedly looking at herpes simplex infection in CFS). The dorsal root and sensory ganglia’s role in pain and nervous system sensitization coupled with their susceptibility to herpesviruses would seem to make them a compelling target for ME/CFS inquiry. Add in the inability of several spinal fluid studies to find much evidence of pathogens, and one wonders if researchers might have the right idea but are just looking in the wrong place. The dorsal root ganglia unfortunately are difficult to study but with the prospect of several new and more powerful herpesvirus drugs showing up in the future, some of them targeting VZV, one wonders if treatment trials will ultimately provide the best evidence for Shapiro’s theory. I think I have vsv in the spinal cord because my brain is on fire tingling stinging and back of neck is stiff and stinging too. Please help what would help??? Those symptoms could literally be attributed to a million things so there is almost no reason to believe it would be vzv in the spinal cord. For some specific brain and neck-related symptoms like that you should see a neurologist to rule out more common conditions to start with. Very interesting. My daughter , having had chickenpox at 4, had shingles rash at 10 years. GP was surprised but didn' t think it merited any investigation. Glandular fever at 14 and subsequent ME/ CFS...the piggyback theory would make sense. I think this is an intriguing hypothesis, I can relate well to it. had a pretty severe case of chickenpox as a kid. Come from a family were you had to go to school no matter what. But with the chickenpox the family doctor ordered rest in the garden, in the shade, with as much lemonade as I wanted ( in the sixties mind you) and lots of rest. Keep laying in that deck-chair with your books until your totally healed. good memories, the only setback was the unbearable itch. later In life ( after two periods of bedbound) i developed shingles, now In the 3 period of bedbound (progressed to housebound) I find that the typical shingle burning itch comes back at every PEM or other things that tax my body. This makes sense. I hope there is more research and new meds to treat it. Can I Have Shingles Without a Rash? The blogpost is from 2011. Does anyone know if this theory has been developed further ? I'd like to know, too. It is very interesting. Hmmm... Though I take most of what's in those supplements, and much as I like anatural approach, they haven't cured me. I think its more complicated than that. Valcyte and IVIG have helped a lot, in addition to the supplements. Where did you go to get your valcyte and IVIG...I live in Virginia?? message for Learner! My Valcyte was prescribed by my doctor, who also ordered my IVIG through OptionCare, the largest home infusion provider of IVIG in the US. I would expect they operate in your area. Cause Im the only one in my whole family who has never had chickenpox at all. Even when Ive been around many children with it. So maybe it did go deep in me instead of affecting me at a skin level??? but then I didnt express any illness at all with this when all my sisters got it. 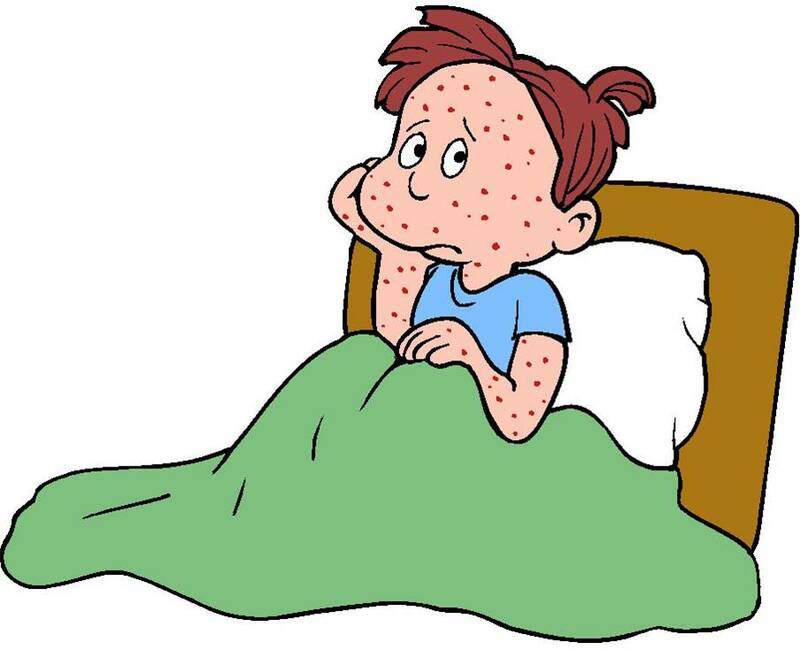 I still think I have never had chickenpox.